Kirsty Sinclair is Scottish Book Trust’s Head of Early Years, and has a background in publishing, bookselling and English Literature. Previously, Kirsty worked as a Children’s Specialist bookseller in York and at a small independent publisher in Oxford. At Scottish Book Trust Kirsty was responsible for the logistics of Scotland’s early years book gifting programme and has also worked on the Outreach side of the programme, engaging with under-represented audiences. 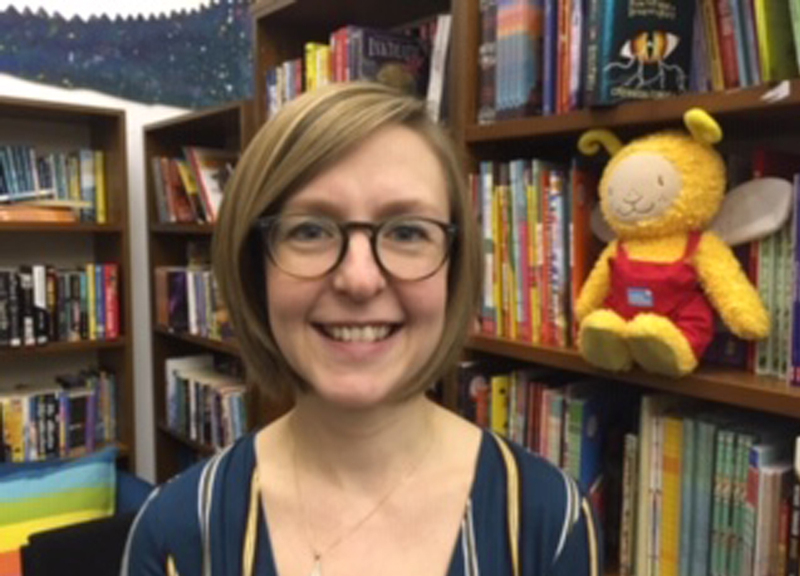 Now she oversees the running of the Bookbug programme and works on developing Scottish Book Trust’s partnerships with Scottish Government, public library services, local authorities and the NHS. Bookbug is funded by the Scottish Government and gifts free books to every baby, toddler, 3-year-old and 5-year-old in Scotland and also runs free story, song and rhyme sessions in libraries and community venues. Kirsty is passionate about giving children the best possible start by supporting families to use stories, songs and rhymes to build relationships and develop pre-literacy skills.